River Market Event Place a chic, modern venue located in the historic River Market District of Kansas City. The versatility of the 4,000 square foot floor plan and unique features allows you to apply a creative vision to your event or simply use its existing minimalist charm alone for an elegant setting. With finishing touches of rich hardwood, polished concrete and sleek metal, this urban venue provides a uniquely, stylish setting for weddings and other special occasions. The beautiful, historic Loose Mansion is one of Kansas City's finest venues for Wedding Ceremonies and Receptions, Rehearsal Dinners, Corporate Events and Private Parties! The 15,000 sq. ft. mansion and 2,200 sq. ft. Carriage House, located just one mile north of the Country Club Plaza, have undergone an "extreme makeover." Your guests will enjoy exploring the mansion, seeing its hand-carved mahogany woodwork, beautiful tile, and many fireplaces. You may wish to stay overnight in the mansion's Carriage House! Longview Farm was the country estate of Kansas City lumber baron and philanthropist, R.A. Long. (1850-1934). Longview Mansion and 50 other farm structures were constructed in just 18 months between 1913 and 1914. More than 50 Belgian craftsmen and 200 Sicilian stonemasons were among the 2,000 workers employed to turn 1,780 raw acres into the “World’s Most Beautiful Farm”. The Mansion was the jewel of the property. A massive 22,000 square foot structure, it boasts 48 rooms, 6 fireplaces, 14 bedrooms and 10 baths. It also claimed the first central vacuum system west of the Mississippi! 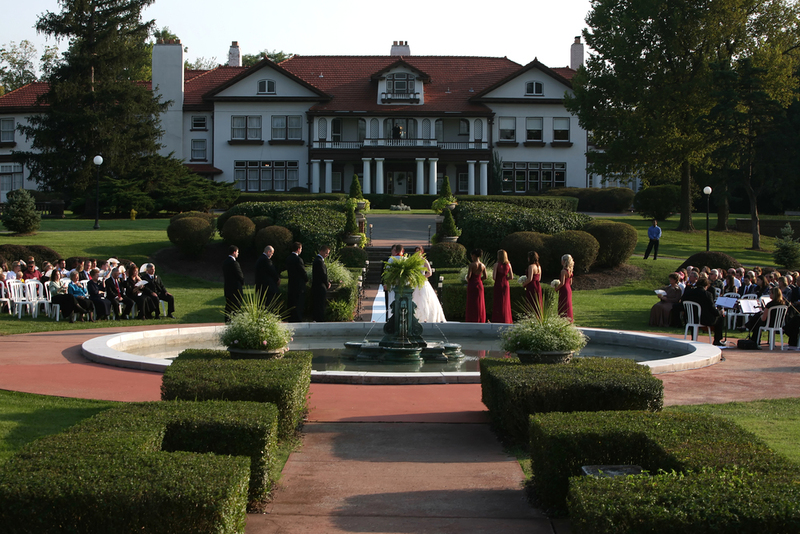 The Longview Mansion is an historical treasure that today is one of Kansas City’s Premier event Facilities. AT 28 EVENT SPACE, YOU’LL FIND EVERYTHING YOU’VE IMAGINED. BOASTING 7500 SQUARE FEET, THIS VENUE IS LOCATED JUST OFF SOUTHWEST BOULEVARD NEAR I-35, MINUTES FROM DOWNTOWN KANSAS CITY. SET IN AN OLD WAREHOUSE, 28 EVENT SPACE HAS REMODELED THE ENTIRE SPACE TO BRING YOU THAT VINTAGE VIBE WITH A COOL, MODERN FEEL. ALLEVIATE THE STRAINS OF EVENT PLANNING THROUGH A UNIQUE SPACE THAT ENSURES A SMOOTH EXPERIENCE AND MEMORABLE EVENT, MAKING YOUR VISION A REALITY. Every little girl dreams of this day. She knows it needs to be special just like her and a reflection of the relationship of which she is a part. When imagining this beautiful dream it all starts with the location. It truly sets the mood for your party. We think Eventful At Locust Grove is the perfect idyllic backdrop for that beautiful dream. We have garden weddings surrounded by white picket fence or if you’d prefer a roof over your heads, shelter weddings in a lattice house (always nice to have a built in rain plan). There are several options from which to choose. The reception is right there - no big delay from ceremony to reception – just get right to it! Our building has moody lighting, burlap upholstered walls, crystal chandeliers, a 10’ zinc topped buffet table, a magnificent old wooden bar made from architectural salvage, a wall made of patchwork doors would be a great backdrop for your cake, another wall covered with old metal ceiling tins would be a backdrop for your band or DJ. This space has loads of personality and it won't cost you a fortune to make it look good. ceremonies can accommodate up to 130 guests. 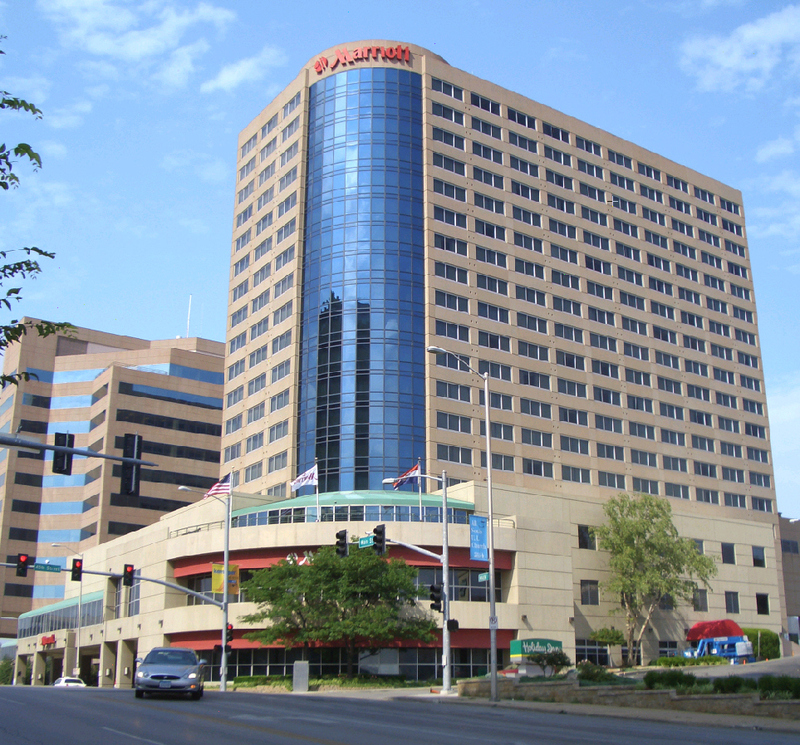 The Marriott Country Club Plaza Hotel puts you in the heart of Kansas City. Overlooking the Country Club Plaza, our hotel is located at the sophisticated center of Kansas City's dining, shopping and cultural scene. Picture your first dance under the dreamy glow of the Grand Ballrooms magnificent crystal chandeliers or the elegant atmosphere of the Seville Ballroom. We handle all the details so your dream wedding becomes a reality ...Discover Marriott a step above other hotels.